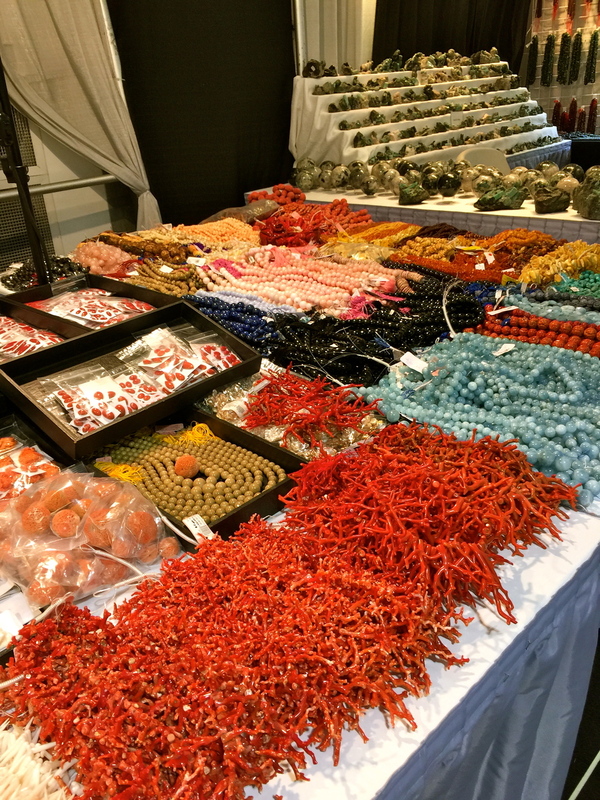 We just wrapped our trip to Tucson, Arizona for the annual gem shows. 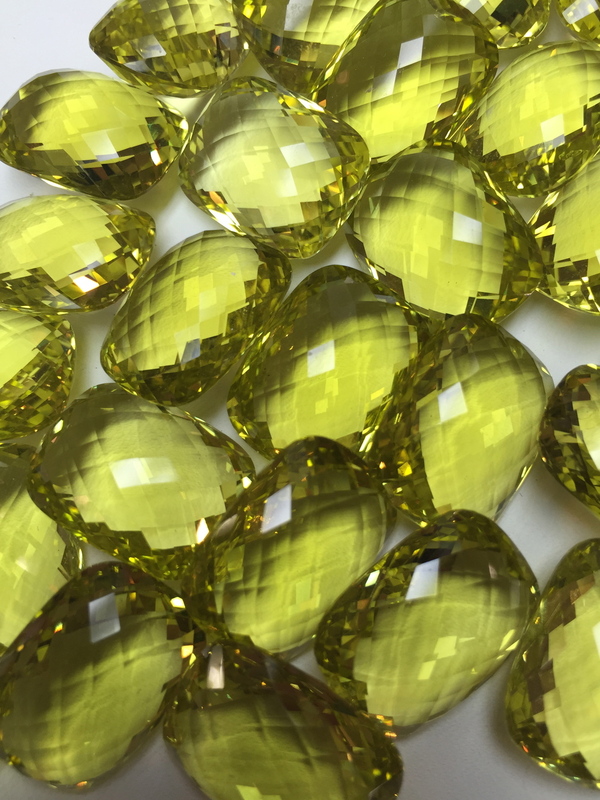 They include the AGTA GemFair, the JCK Tucson show and the GTX Gem and Jewelry Show, but that's just the beginning. Throughout the month of February, the city holds more than 40 different shows. It's exciting to walk around these shows and look for everything from mineral specimens to rare stones that have already been cut and polished. We've even found furniture, like a table made completely of rose quartz, or fossilized bowls. Every year, we host the auction for the Gemological Institute of America (GIA) alumni event. It's always a great way for us to reconnect with other experts in the industry. Here we are auctioning off one of the jewelry items! We spent most of our time at the AGTA GemFair, where we got a sneak preview of an upcoming documentary on gem mining. Sharing the Rough follows gemologist and gem cutter (and our friend) Roger Dery of Spectral Gems as he discovers mines in Kenya and Tanzania. Working with local miners, colleagues and jewelry designer and artist Mark Schneider to show how a gem goes from a mined rough mineral to a piece of finished jewelry. The documentary will be making the rounds this spring at numerous film festivals. Keep you eye on it! 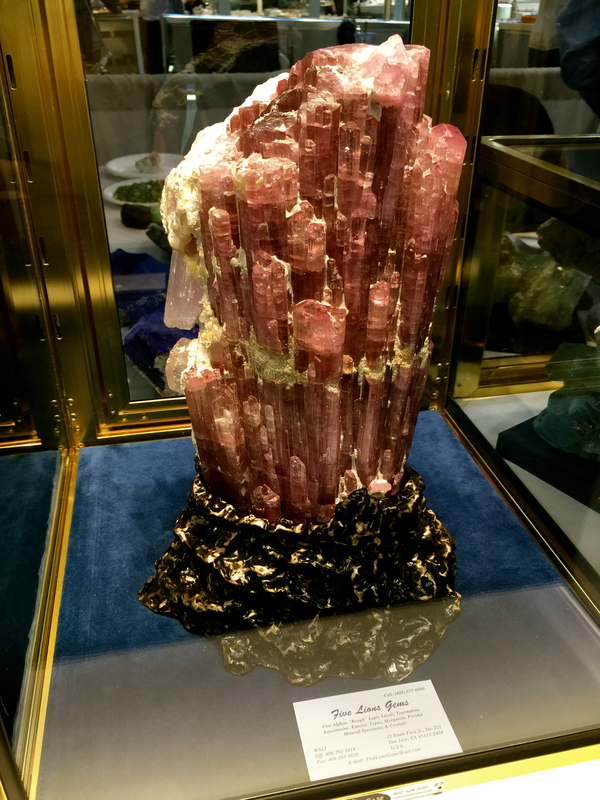 As for actual gems, we had fun spying lesser known minerals, like tourmalated quartz, cabochon chalcedony, kunzite specimens from Afghanistan, rough aquamarine, tables full of coral, and of course, opals from the famed Lightning Ridge mine in Australia!